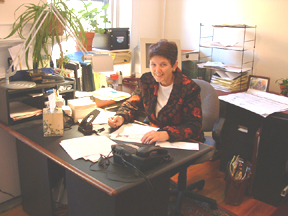 Since 1990 Susan Farnsworth has had a private general practice of law. She offers personalized legal services in a variety of areas including family law, wills and probate matters, real estate, personal injury, business transactions, employment, civil rights law, and professional licensing matters. From 1994 through 2006 she also provided lobbyist and legislative monitoring services for various groups. Through the 122nd Second Regular Legislative Session (2006), she monitored legislation for the Maine Interior Design Association (MIDA). She previously lobbied for the Maine Council of Churches, the Coalition to End Homelessness, the Maine Lesbian Gay Political Alliance (now Equality Maine), and others.